Gotham Ducati is the official Desmo Owners Club for New York City officially sponsored by the factory in Borgo Panigale. There are many riding clubs, motorcycle social groups and brand-centric communities in the five boroughs and the Tri-State area, but Gotham is the only official Ducati club in NYC. To become a member, there is a brand new affiliation process that Ducati just announced today. To complete your registration (even if you don't currently own a Duc), you'll need to first sign up under the My Ducati section on Ducati.com, then register as a Gotham member in the Profile section of your member page. 1. 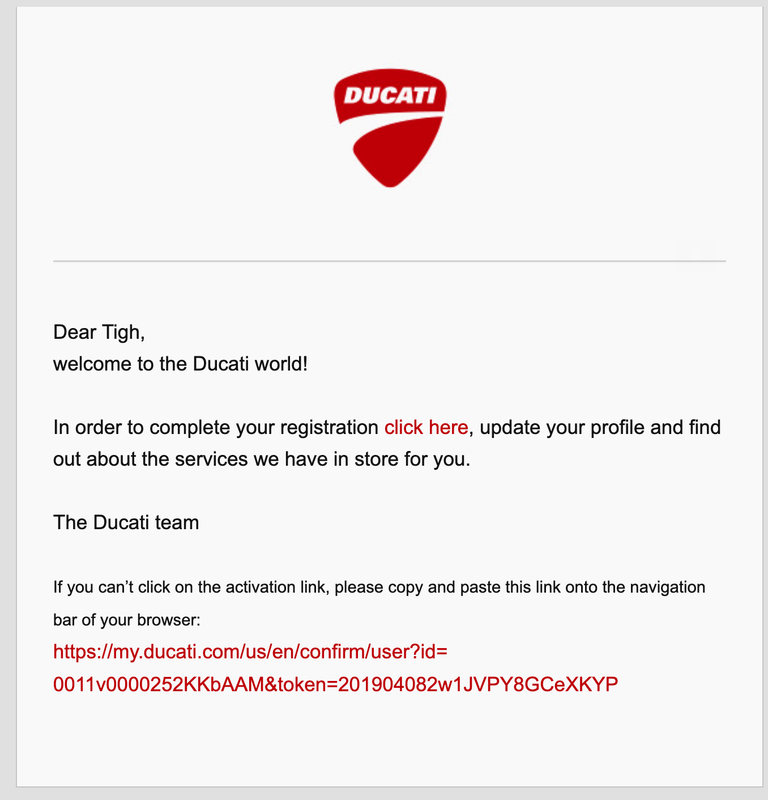 If you're not already registered, first you'll need to sign up for membership on https://www.ducati.com/. Go to the Ducati website, click the MYDUCATI button at the top right, and fill out your personal information to complete the signup steps required to register for the site. Please note you are required to confirm your email address to register your account. 2. 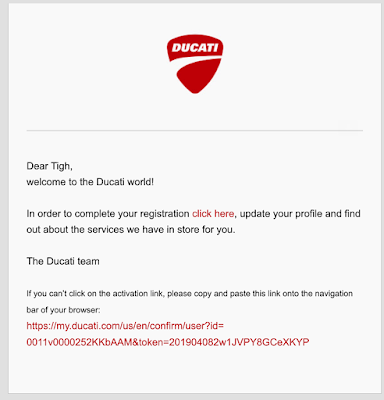 Next, using the credentials you created in Step 1, log into the MyDucati section of Ducati.com. On the top left, you will find a MyDucati dropdown menu, where you may access your profile, your garage, and a section called My Club. Click on My Club, and click Join a DOC in red on the right. Start typing in and select Gotham, fill out the rest of the fields (T-shirt size, cell, address, etc), click Send, and your application will be sent to Gotham management. A Gotham member will reach out to shortly with next steps!! !